We all know that this is not the best way to hang the clothes in your car. The hangers are in an awkward angle, pushing the clothes together and wrinkling them. Plus the hangers keep on banging the window! I came across this simple and compact device called Autoclip. 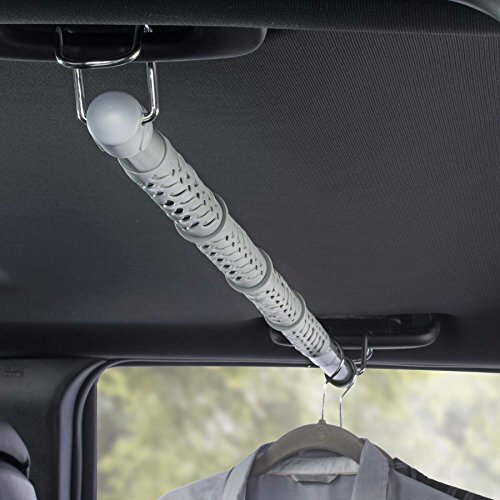 You attach it in your car’s grab handle. 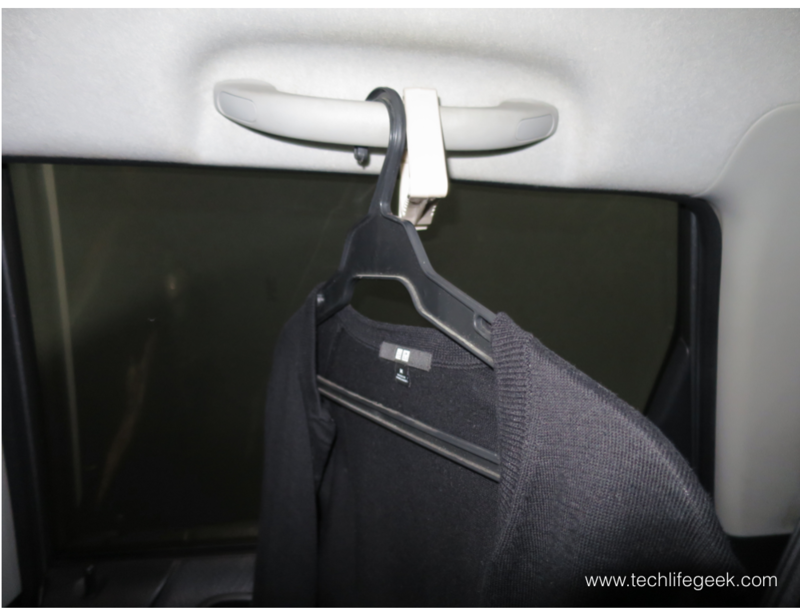 It increases the carrying capacity of your car’s grab handle, elevates the clothes from the car’s floor and it keeps your clothes more organised. Since the clothes are hung in a natural position, they are prone to less wrinkling. No more banging in the car window when you stop, accelerate and do a sharp turn. 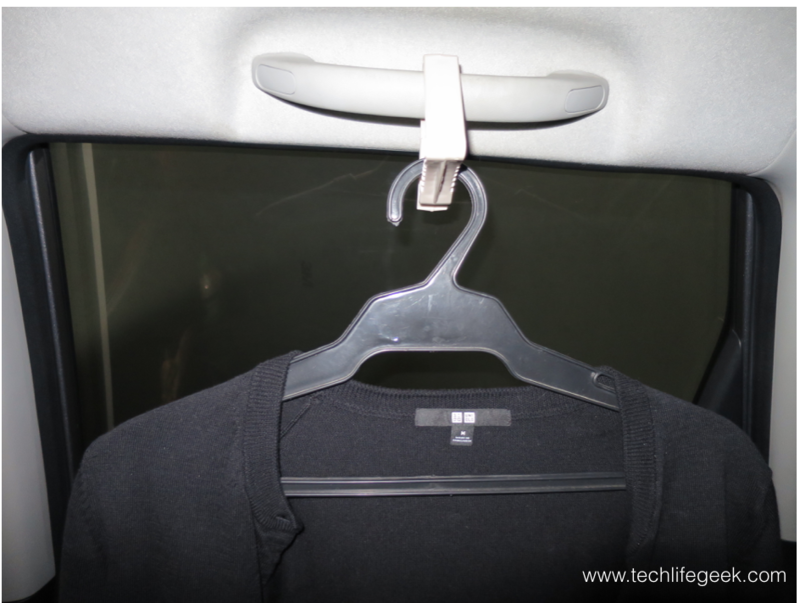 Using the Autoclip car clothes hanger. 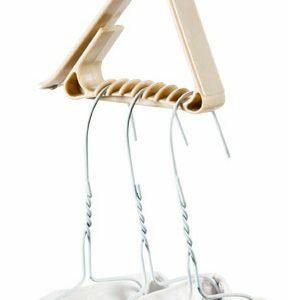 It uses only a small amount of space but can hold 10 to 15 hangers. Perfect for carrying garments for dry cleaning or just carrying your jacket in your car. The Autoclip has ridges that can separate clothes securely. You can detach it and grab it to carry multiple clothes anywhere. 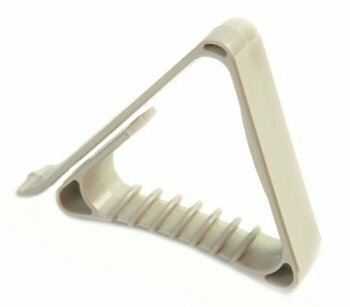 The ABS plastic is very sturdy and I’ve used it to carry more than 10 clothes in 1 hook. You can use this in any vehicle – car, SUV, pick-up, etc. as long as the car has a grab handle. I would recommend getting at least 2 for your car and you can add more if you plan to transport a lot of clothes. This past weekend, I was helping my friend prepare for her wedding and we had to carry multiple clothes in my car. She noticed how the Autoclip helped in organising the clothes and keeping them in place. She asked where I got these. They are not easy to find but you can go to the link below in Amazon.com where you can buy this simple device. 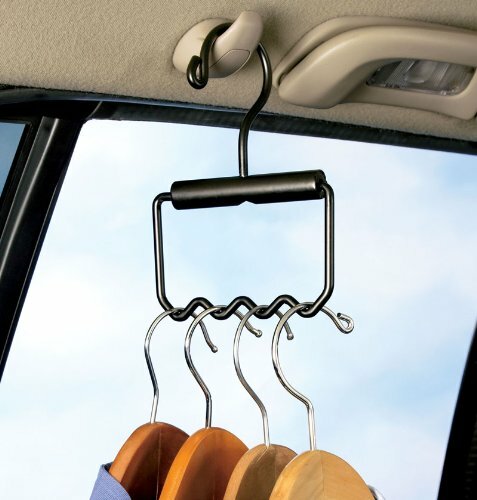 Do you have other solutions for neatly hanging clothes in your car? Share with us through the comments section below. Wow! I Very helpful. Especially for me and my family who are always on the go. Thanks for posting!